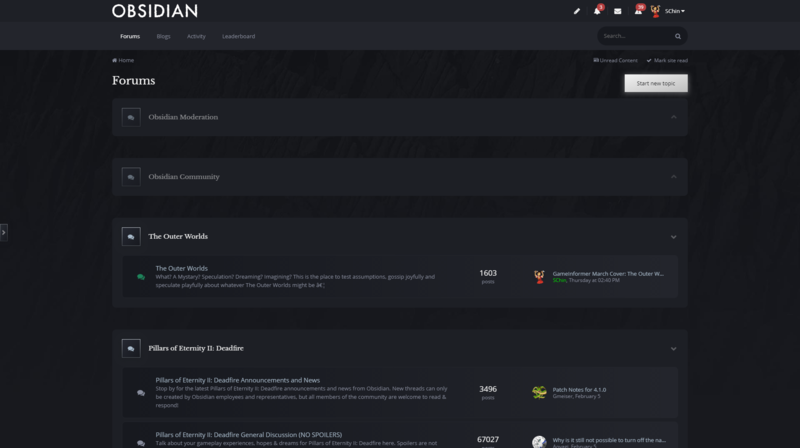 We just wanted to let you know that we will soon be updating the Obsidian forums. 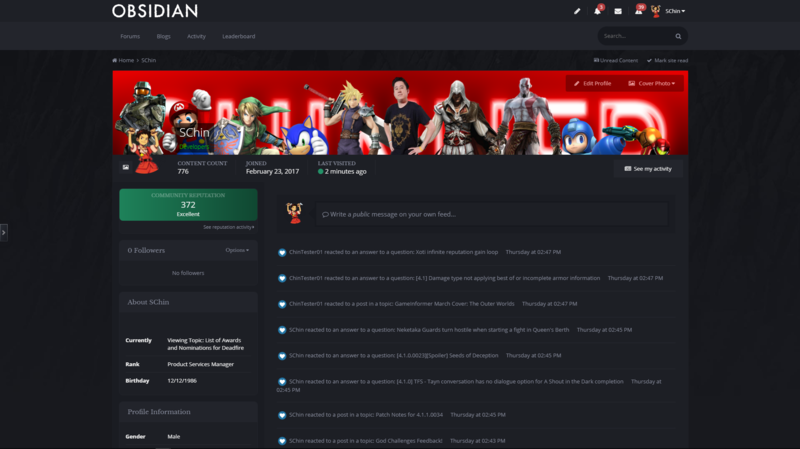 The update will give the forums a fresh look and add some cool new features. 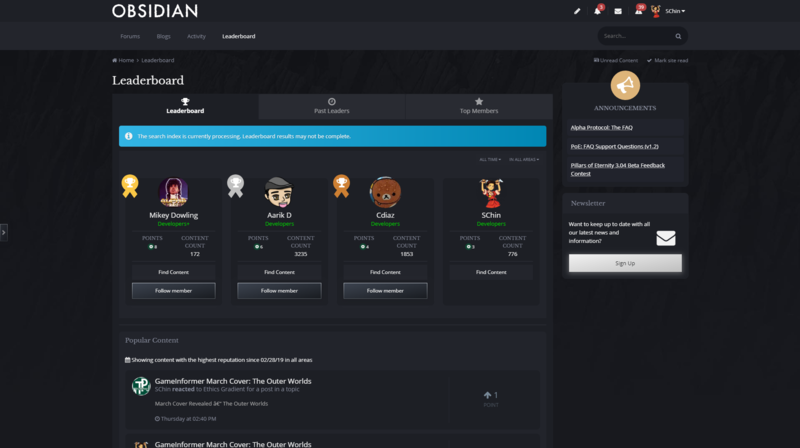 Users will be able to more easily navigate the forums, customize their profiles with cover photos, and keep track of new leaderboards to see who is contributing the most liked content. 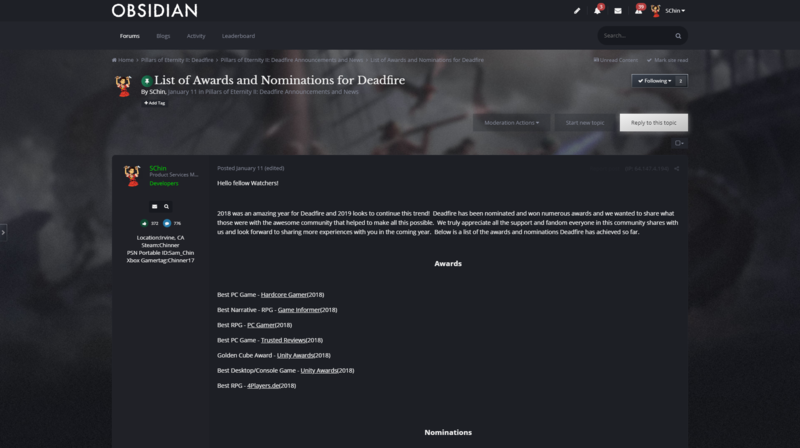 We wanted to update things a bit while also not making a dramatic change, so the forums will have a sense of familiarity while also improving the overall navigation and aesthetic. 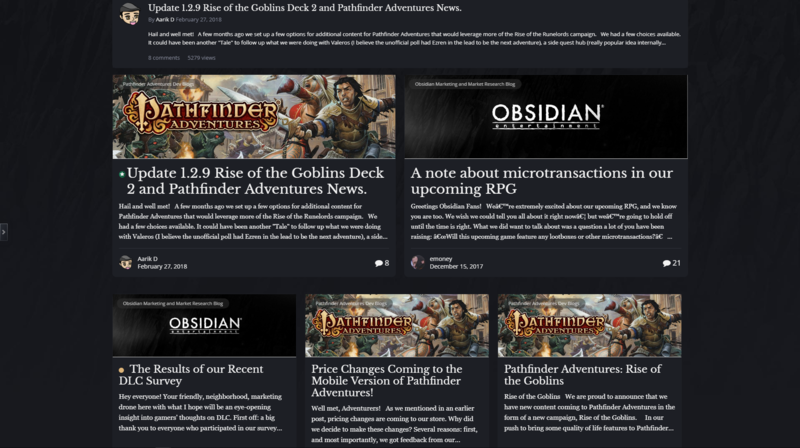 We expect to have the updated forums up in the next week or so and hope you enjoy the new Obsidian look! Check out some of the example photos below to see what some of the new changes will look like. We hope you enjoy the new look and wish everyone an amazing week!